A new study has indicated that adolescents exposed to nicotine may end up drinking more alcohol in their adult life, than people who are not exposed to any stimulant. 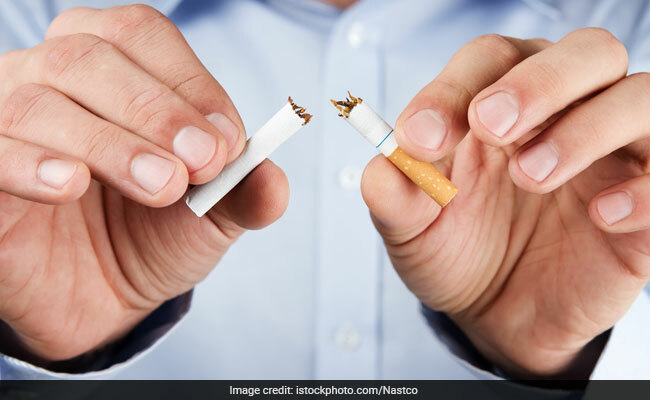 Early exposure to nicotine may lead to alcoholism, says study. Nicotine exposure alters neural circuitry of brain's reward pathways. Having cinnamon with honey 2-3 times a day may beat the urge to smoke. Teenagers who take to smoking early on in life, may face increased risk of alcoholism in their adult life. A new study has indicated that adolescents exposed to nicotine may end up drinking more alcohol in their adult life, than people who are not exposed to any stimulant. This is because an early exposure to nicotine may result in a change in the neural circuitry of the brain that is a part of the reward pathway. A report on the study has been published in the Journal Cell. The research comes in the wake of a recent rise in the popularity of electronic vaping and e-cigarettes in high school students. The research was conducted in adolescent rats and hence, the results can only be theoretically applied to human beings. For the study, researchers administered a daily dosage of nicotine to adolescent rats via injections. The self-administration of alcohol was then studied in these rats, after a gap of sometime, to allow the same rats to reach adulthood. It was observed that rats that were exposed to nicotine in adulthood pushed the lever to ask for a greater amount of alcoholic drink than those who hadn't been exposed to nicotine, or those rats that were exposed to nicotine during adulthood. This means that adolescent or teenage and not adult exposure to nicotine altered the brain's reward pathways. The neural circuitry in question is mediated by the neurotransmitter, gamma-Aminobutyric acid (GABA). Nicotine worked by shifting the inhibitory response of GABA signals to alcohol, to slightly excitatory. This change lead to a greater amount of self-administration of alcohol in the adult stages by the rats that were exposed to adolescent nicotine. Adding ginseng powder to your meals may help to keep you away from smoking. Chewing on a licorice stick is often recommended as a home remedy to beat the urge to smoke. Adding a pinch of cinnamon or dalchini to some honey and having it with water two to three times a day may help as well. All you need to do with this is to soak a few pieces of ginger in some lemon water and black pepper and store it. Pop one of these soaked pieces in your mouth to resist the urge to smoke. Apart from this, drinking a lot of water and just keeping yourself hydrated is said to be a dietary remedy that may work against nicotine addiction.